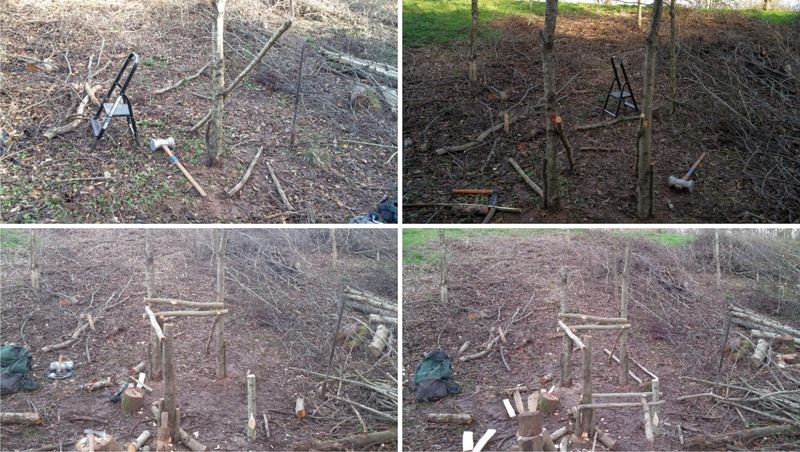 We'll collect, split the wood, tidy it up and then draw information on the waymarker posts, while the posts will have a spike put on them with an axe. 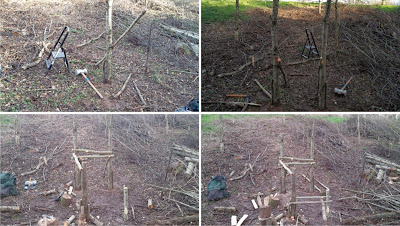 To help with any greenwoodcraft work, yesterday we built a device which will help to rive, shave and mortice wood. The children will also get a chance to use these devices over the winter. In the next few weeks, we'll be finishing off and installing the hedgehog boxes and either making another otter holt or constructing a bird hide with the Eco Club too; exciting times.